Two courts to four is what needs to be … to save the land so shall we see.The scroll has been found and now the fae know how to defeat the dark sorcerer, to end his evil existence in the Land of the Fae. However, the only thing standing in the way is the one bond that must be formed; the one that will empower all four courts together and make them invincible. Ariella and Brayden’s bond will not come easily, for Ariella is mischievous and head-strong with a heart full of love, while Brayden is strong and loyal with a heart made of ice. With all four princesses bound together as one, will they be strong enough to save the life of Ariella, who is destined to be the one who ends it, the one who will sacrifice everything to save the people she loves? 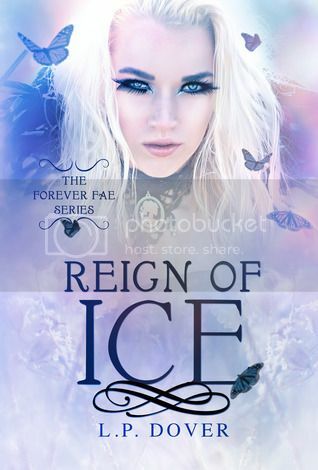 In this final installment of the Forever Fae series you will see how the bonds of love and all the sacrifices it takes to truly conquer the evil once and for all.